Last night I attended The Musical Marathon at The Other Palace. The purpose of the evening was to raise money for Paul Taylor-Mills London marathon effort for Terrence Higgins Trust. This is less of a review more of a ‘this is what you missed’ and hopefully a way to help direct those wishing to donate to the best place to do so! The night was hosted by Paul Taylor-Mills and Vikki Stone. For those of you that don’t know Vikki Stone she is a hilarious comedian who writes her own songs about the most bizarre but always funny topics. OMG this woman is a vocal goddess. She is currently playing Effie White in Dreamgirls but I haven’t been lucky enough to see her in this role. This song was the perfect pick for the opening of the show and set the bar incredibly high! Her interpretation of this song was sung with real heart, oh and some insane vocal riffs! Oliver Saville is currently playing Fiyero in Wicked and he did his own take on this Disney song, putting himself into Paul Taylor Mills’ shoes at the start line of the marathon. A nice, personal interpretation of the song which injected some humour into the proceedings. 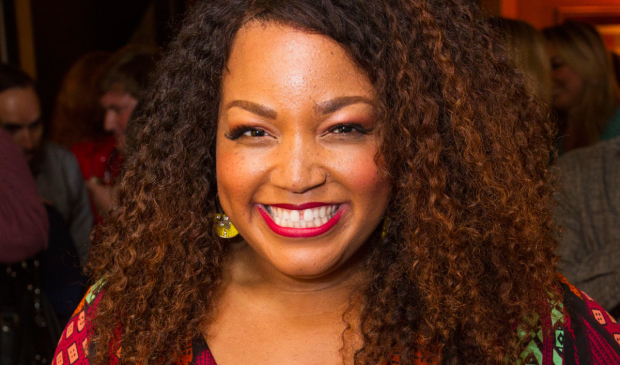 Lucie is the current holder of the Whats On Stage award for Best Supporting Actress in a musical for her role as Pritti in Everybody’s Talking About Jamie. The song choice was unexpected but the pop song showed that Lucie can seemingly sing all genres! I didn’t think I knew James Gillan prior to this evening however when he opened his mouth and began to sing I became majorly excited. I had previously directed Stiles’ and Drewe’s Peter Pan and his unmistakable voice had seared it’s way into my consciousness as Peter Pan in the cast recording. James is currently playing Tray Sophisticay in Everybody’s Talking About Jamie and the song he sang was a new song in Becoming Nancy by Stiles and Drewe. The song really made me want to hear the rest of the musical and Gillan’s voice really suited it. Lauran is another one of the cast from Everybody’s Talking About Jamie, but was also in Jesus Christ Superstar at Regents Park and Heathers at The Other Palace. This girl is fierce and oozes watchability (is that a word- if not it is now!). Sam Cassidy wrote ‘Myth’ one of the new musicals that was recently on at The Other Palace. It was a show that I had meant to see but due to time missed out on. After seeing this performance it really made me kick myself for missing it. ‘All I’ve Learnt’ is from a new musical, The Bloodstones, that Sam is in the process of developing. Sam really sold it from the moment he opened his voice and whilst it was a bit more serious than other moments throughout the show it was a lovely contrast. I just adore Smash so Idriss had me won over instantly with this song choice. 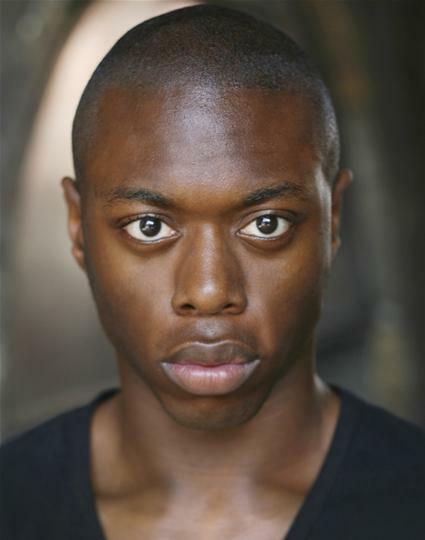 Idriss has just finished in Five Guys Named Moe but has previously played roles such as Boq in Wicked and young Simba in the Lion King. He is just one of those people that you can’t help but grin when he comes on stage. Suzie is most famous for playing Glinda in Wicked and obviously trying to get away from this stereotype she sang a song about Disney Princesses. The song was wickedly funny as well as showing off her insane top soprano voice. This song has the potential to be audition gold!! George Ure is another one that is used to performing in Victoria having previously played Boq in Wicked as well as performing in Big Fish and Starlight Express at The Other Palace. This is a great song choice for a tenor and George gave a touching performance of it. I absolutely adored Evie in the role of Bonnie when she performed it at The Other Palace so to hear her perform this number again was an absolute joy. Paul Taylor Mills did hint that some of the shows that Evie had performed it at the Other Palace may be making their way back to the main stage- Paul if you are ready this- please make Bonnie and Clyde happen. Kane is currently performing in the tour of Beautiful as Gerry. I’m desperate for Dear Evan Hansen to come to London so to hear Kane sing this was a real treat. 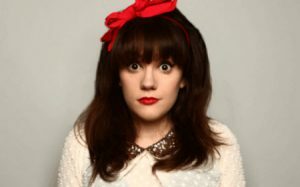 Vikki Stone is hilarious. This song was essentially about her dog and everything she does for it. I had previously seen her in Edinburgh performing a whole host of her songs and really enjoyed it. Oh and she had amazing shoes!! Luke Bayer is currently in Everybody’s Talking About Jamie and is the understudy for the role of Jamie. After seeing him perform this song I now need to see him in this role. His high tenor voice was perfectly suited to this song and literally gave me goosebumps. Peter recently played Herod in Jesus although with all the costume and face paint you probably wouldn’t recognise him! He sang one of his own songs which not only showed off his stunning voice but his credentials as a singer/songwriter……more where that came from please Peter! Wow Bronte has an incredible voice. For such a petite person she opens her mouth and out comes this huge voice. She is currently playing Carole King in the tour of Beautiful but despite having seen this show in the West End her performance today made me want to check out the tour in Wimbledon. Kane wasn’t due to be singing this with Jodie, it was due to be Liam Doyle however he was on vocal rest so Kane stepped in at the last moment. It was a lovely tender moment of the show. Tosh sang the post modern jukebox version of Halo so first of all thanks to Tosh for introducing me to this! Tosh was an utter joy to watch perform, not only does he have an incredible voice which performed riffs with apparent ease but had such charisma when performing he induced spontaneous cheers from the audience. He is currently performing as Jimmy in Dreamgirls. 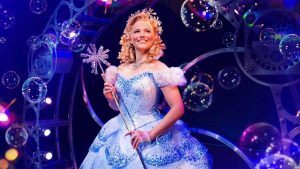 Jodie Steel has just finished as the green witch in Wicked and singing this followed by Proud Mary as a finale you can see why she had played this iconic role. This was a brilliant song choice, not only a mix of emotive and shows off Jodie’s belt but also highly relevant! As you can see from the set list for A Musical Marathon, it was really varied but brought together some of the top performers from across London. It’s nights like these when I realise how lucky I am to have performers like these entertaining audiences on my doorstep. The theme of the evening was inspiration but what really came across to me is whilst the performers spoke about their inspirations they will all be inspiration to many inspiring performers, especially with their kindness of giving up their time on Easter Sunday for this cause. A big thank you to Paul Taylor-Mills for the tickets that I won also – this made my Easter weekend! If you want to donate to Paul Taylor-Mills marathon effort then click here to be directed to his fundraising page.